The Gift Card arrives in a small envelope and with an optional gift message. 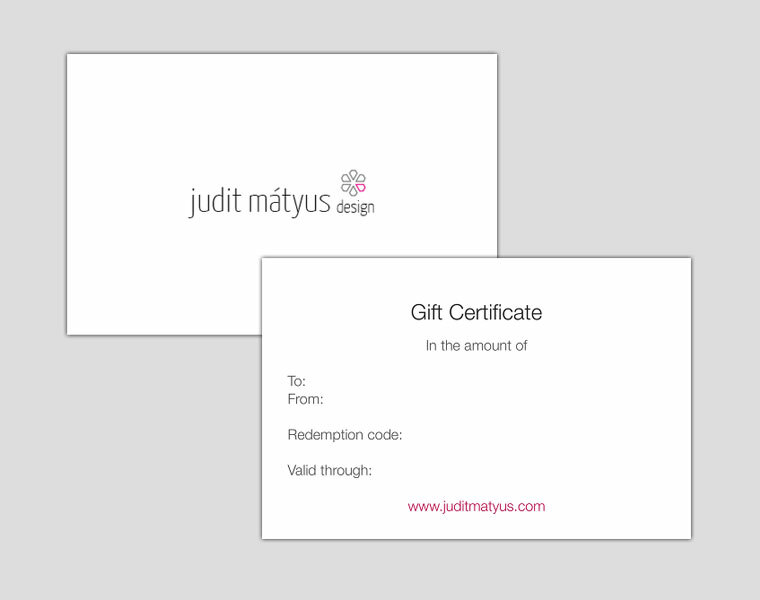 The Gift Card may be used online at www.juditmatyus.com until the total amount has been spent. Each Gift Card has a unique redemption code that can be used at checkout. Each purchase will be deducted from the balance. If you wish to leave an optional message to the receiver, please do so when checking out. Please note that the card will be shipped to the shipping address filled out at checkout. Please leave a message in “Order Notes” text field at checkout where you mention the sender and recipient as well as the optional gift message. In case of email option leave email address of the recipient in “Order Notes” text field. The expiration date of the card is one year from the date of purchase.